Do I Have a Cold or a Sinus Infection? Home / Health News / Do I Have a Cold or a Sinus Infection? If you feel run-down, have a sore throat and are coughing all the time, you may pass your condition off as a cold, but in reality you could have a sinus infection. Since both colds and sinus infections have similar symptoms it can often be hard to tell which is which. Fortunately, there is some tell-tale signs that can help you figure out which one you actually have. The common cold generally begins with a scratchy throat, clear-watery nasal discharge, and a tired or run down feeling that just won’t go away. You may find yourself sneezing a lot during the first few days and feel post nasal drip in the back of your throat. As the cold worsens, your nose gets stuffy and becomes congested. While a fever is not usually associated with a cold in adults, it is sometimes seen in children. People with colds may also comment that they have a dull headache. Although cold symptoms are slow to start, you can generally tell you are dealing with a cold instead of a sinus infection when your symptoms get worse for a couple of days and then start to get better. 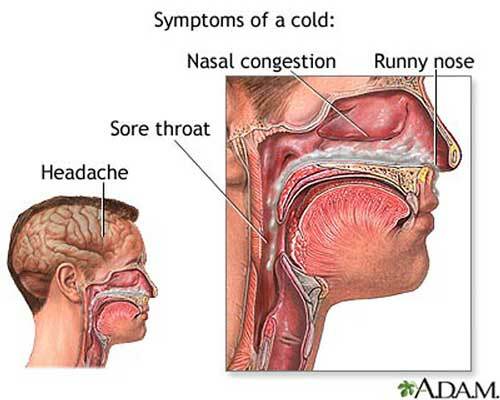 Colds generally last 5 to 10 days with symptoms peaking at about days three or four. During this time, the nasal congestion may increase and nasal discharge may appear thicker with a yellow or green color. Unlike sinus infections, colds usually clear up on their own whether you seek medical treatment or not. You can help yourself recover faster, however, by resting and drinking plenty of fluids. The fluids actually are the key to treating a cold as they help to keep you hydrated. This works to remove the infection because the mucus in your nose returns to being a liquid and becomes easier to clear out. You may also find comfort in consuming chicken soup. According to the Mayo Clinic, this old home remedy actually does work since the chicken soup works as an anti-inflammatory. This reduces the congestion by helping to speed up the flow of mucus in your sinuses. While colds typically clears up on their own, sinus infections are often much harder to treat. 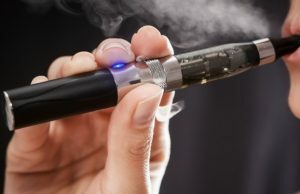 The symptoms are rather similar to a cold though and in addition to the nasal congestion, headache and post nasal drip, many people who have sinus infections complain of pain in their top teeth or pressure in their cheeks and around their eyes. They may also discover that if they take their temperature, they are also running a low-grade fever. Treatment for a sinus infection is usually the same as it is for colds except you may find it necessary to use a decongestant or antihistamine to help reduce the swelling of the sinuses. If a sinus infection does not show improvement after about three days, it is usually recommended that you see a doctor for an examination. Depending on the severity of your sinus infection, the doctor may prescribe a nasal steroid spray, antibiotics or even a small dose of steroids to take orally. These steroids help to reduce the inflammation and allow the mucus to start moving again. In most cases, your primary doctor can assist you with a lingering cold or sinus infection. 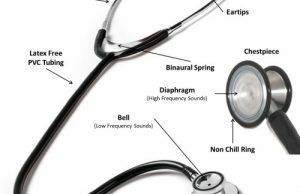 If your symptoms keep returning or show little improvement, however, you doctor may refer you to an otolaryngologist, which is and Ear-Nose-Throat (ENT) specialist or to an allergist. 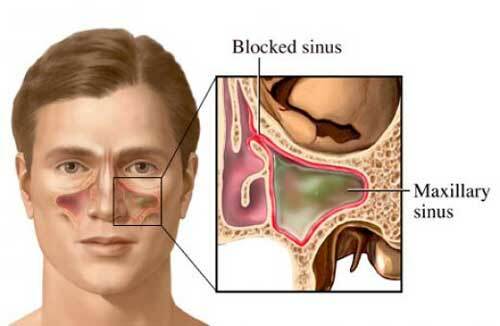 These specialists can then determine if there is a specific reason for the frequent sinus recurrence. 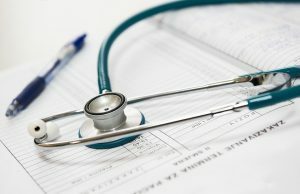 Megan Hobbs writes for several health sites including the site for Urgent Care West Chester County Pa. A site she recommends visiting if you are planning a visit to theÂ Urgent Care West Chester County Pa office. ← Previous Story What Do You Do When The School Nurse Sends Your Kid Home? Thank you for the article. It is very interesting and learnt a lot. Hello Jindiola, very interesting article, on cold vs sinus infection. 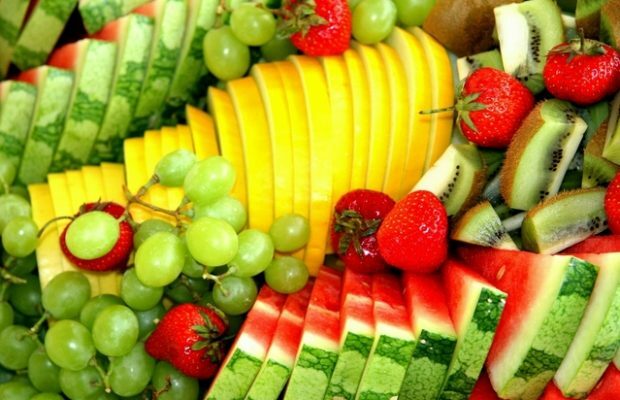 It gives us some useful insights on ways to distinguish these two health issues.